Trawler Fest, Anacortes WA Recap – presented by PassageMaker, returned once again to the picturesque port town of Anacortes – May 13–15. In its seventh year, nearly 70 new and pre-owned cruising powerboats stood tall on display, while approx. 40 land exhibitors impressed attendees with a wide variety of marine products and services to enhance their boating lifestyle and experience. 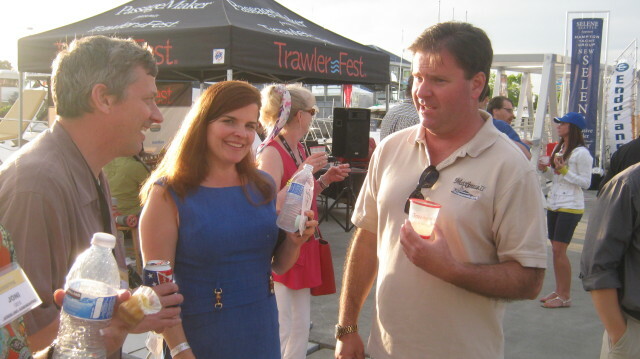 Trawler Fest, Anacortes Events are a fun maritime industry & trawler owner reunion! The 2-day Trawler Fest boating courses saw several sold-out classes offering students invaluable boating knowledge on subjects ranging from diesel engine dissection to long-range cruising. 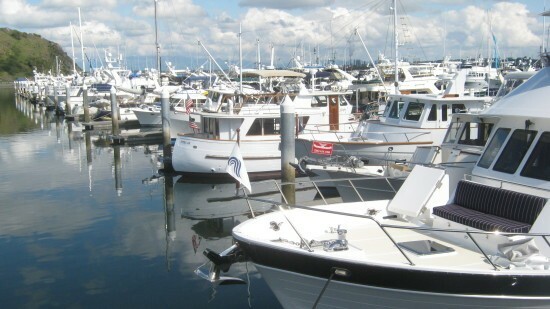 The 90-minute boating seminars held during the morning and afternoon hours of the show also saw record turnouts. Attendees chose from a wealth of topics, from Purchasing a Trawler, to Marine Weather, and Cruising the Great Loop. 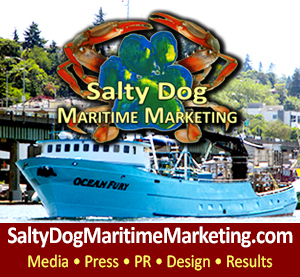 To boaters who missed this years Rally – Trawler Boat owners join us for Salty Dog Rally Alaska 2015! 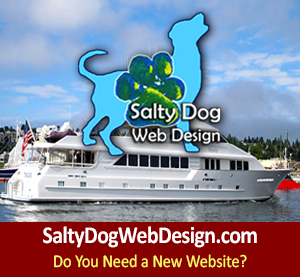 www.saltydograllyalaska.com – NW cruising grounds in the heart of mother natures wild and natural playground! 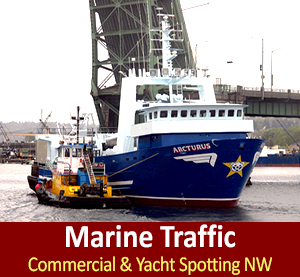 Trawler Fest, Brokers & Buyers – Selling Boats in the NW! Trawler Fest Anacortes attendees enjoyed picture-perfect weather this year, and were treated to many new activities & special events, from music and drinks at The Tipsy Seagull, to an outdoor “Dinner and a Movie” night featuring Casablanca, live music by local band Fidalgo Swing at the Trawlers at Twilight “Docktail Party”, and a raffle contest featuring some terrific prizes. 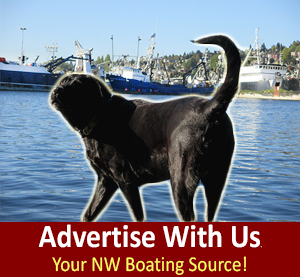 Salty Dog Boating News – The Booth for Dog Lovers & Boaters Fun Hot Spot! 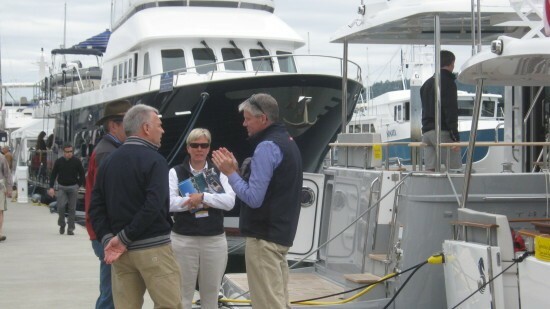 Attendees traveled world wide to attend Trawler Fest Anacortes—from states up and down the East and West Coasts, Mexico, Central America, Europe and beyond….. and several in between. 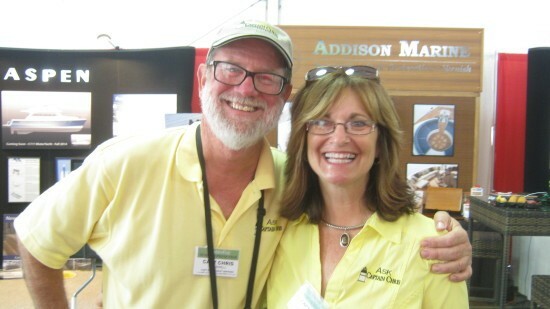 Exhibitors met with many first-time attendees as well as couples making the transition to the cruising-under-power lifestyle. There were also many repeat attendees to the annual event. 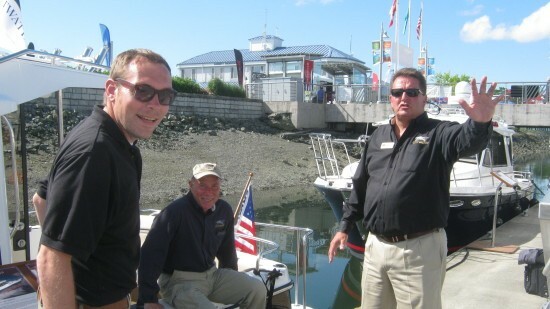 Cutwater Boats & Ranger Tugs – Sell themselves in the Pacific NW at Trawler Fest! Trawler Fest, Cap Sante Marina – Anacortes WA, A Natural Beauty! Trawler Fest is more than a boat show; it’s where industry, education and community come together in a relaxed, rendezvous-type atmosphere. 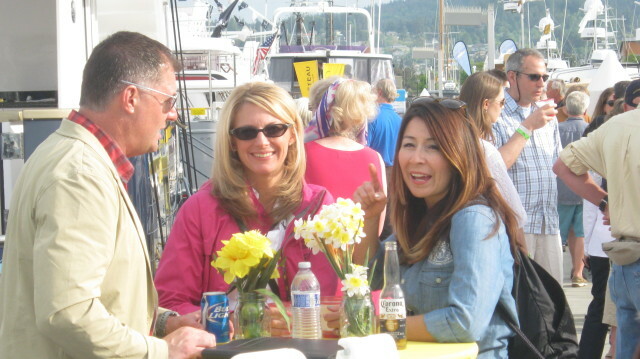 Trawler Fest is an experience you simply won’t want to miss – Join us next year in Anacortes, WA! The NW boaters paradise of endless cruising grounds! 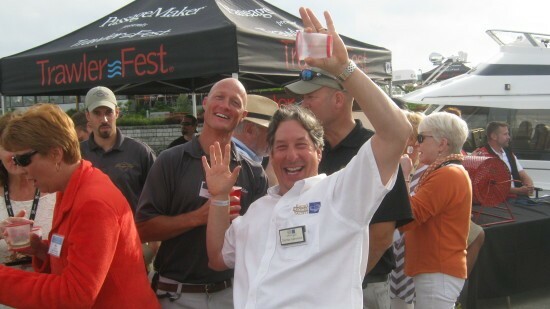 Trawler Fest in the NW is located in the heart of the best waterway knows to man & woman! The Pacific Northwest, Canada and Alaska – feature some of the best cruising grounds in the world. The inside passage is bursting at the seams with protected waterways, reefs, glaciers, channels, bays and excellent fishing honey holes packed with wild life in their natural habitat. The Pacific Northwest (In the USA – commonly known as PNW) is a region in western North America bounded by the Pacific Ocean to the west and, loosely, by the Rocky Mountains on the east. The magnetic PNW has endless cruising grounds with some of the world’s best fishing especially known for its amazing wild halibut and salmon. As you cruise in the narrow passages you will see bears feasting on mother nature’s waterfront wildlife of buffets. Killer whales that dance and breach over and over, puffs that land on the swim step off your stern, and eagles that catch their pray less than 30 ft. off your bow. NW cruising is also known as “Mother Nature’s Natural Paradise on Steroids.” You will want to pinch yourself – as it’s hard to believe or image the wild life adventures right around you! If you have never cruised in the Pacific NW – you’re missing out on an opportunity of a lifetime. We look forward to seeing you in the PNW this next boating season!